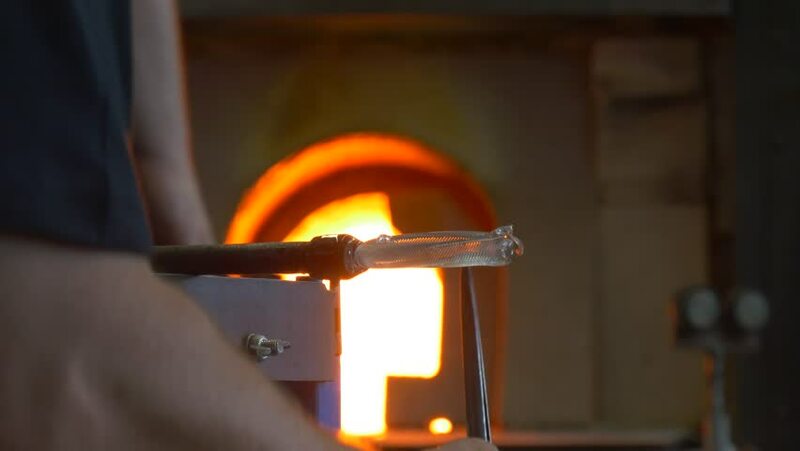 a Man Uses a Special Steel Tube to Hold the Hot Glass Preform. he Attaches Shape to a Preform With Help of a Small Pair of Tweezers. Thereafter it Uses a Hand Burner For Reheating the Preform. hd00:13A scenic shot of a glass being mold as it is still hot and soft. hd00:15VIRGINIA - SUMMER 2016 - Reenactment, Recreation, historical Tavern, saloon, bar with freshly poured beer in glasses, beer taps and amber bottles of alcohol on shelves and bar top. shots of whiskey. hd00:25Fire and melted steel from a electric arc furnace.